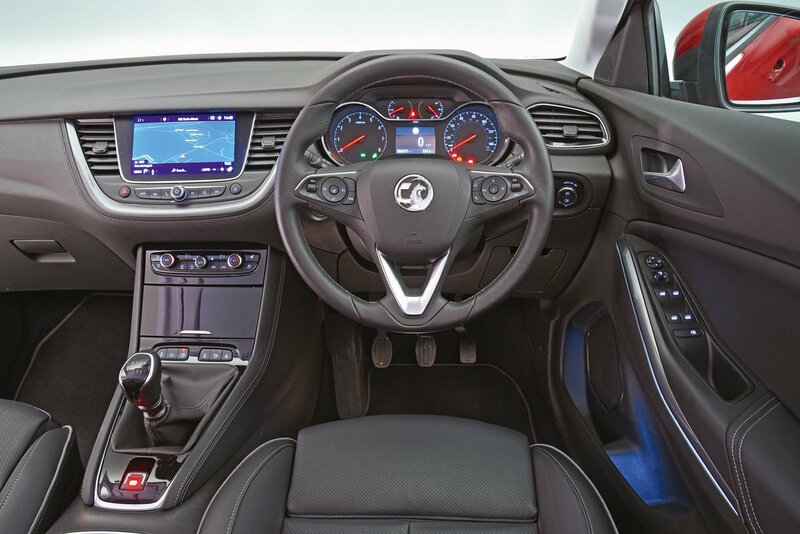 Vauxhall Grandland X Interior, Sat Nav, Dashboard | What Car? 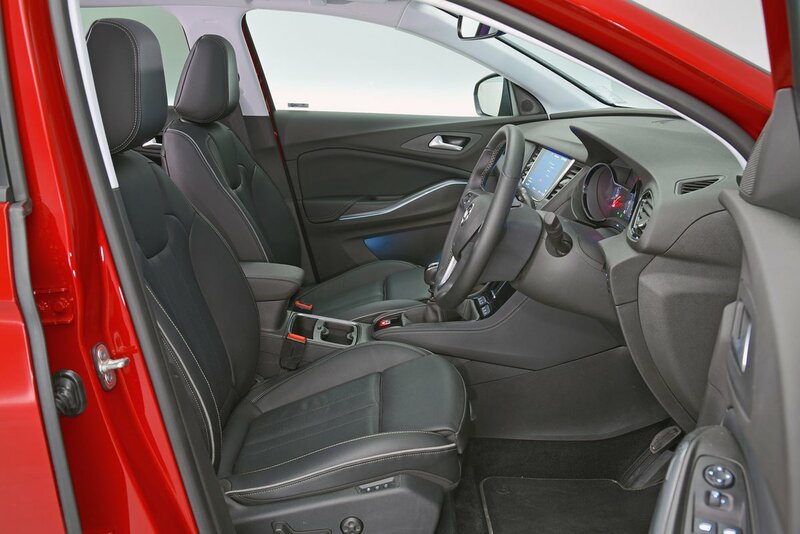 With a good range of seat and steering wheel adjustment and pedals that are well aligned with the driver’s seat, most people will find it easy enough to get comfortable. The seats generally are generally supportive, but adjustable lumbar support is only standard on range-topping Elite Nav and Ultimate models – a bit disappointing given that Peugeot fits it to all but the entry-level 3008. More positively, the dashboard is logically laid out over three tiers, with the controls grouped together by theme. And, thankfully, Vauxhall has provided separate climate control buttons that are easy to operate; in the 3008, you have to delve into the infotainment screen just to change the interior temperature, and that's a pain. With its relatively high driving position, you get a good forward view in the Grandland X. The rear window is quite shallow but rear parking sensors are standard across the range and front sensors are added from Tech Line Nav upwards. Go for Elite Nav trim and you also get a 360deg bird's eye view camera. In addition, a system that warns you if another vehicle enters your blindspot is fitted to all but the SE model. Super-bright adaptive LED headlights are standard if you opt for Elite Nav or Ultimate trim and are an option on all other variants. The Grandland X SE has a 7.0in touchscreen infotainment system with Bluetooth audio streaming as well as Apple CarPlay and Android Auto smartphone mirroring. Opt for anything above SE and you get a larger 8.0in touchscreen with built-in sat-nav. 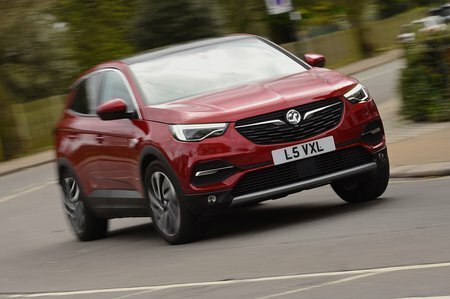 What’s more, every Grandland X offers Vauxhall’s OnStar concierge service, which includes online connectivity, a wi-fi hotspot and a connection to a dedicated call centre, whose operatives can download a requested route direct to your sat-nav (if fitted). The latter feature is particularly handy when you’re on the move, because the touchscreen’s smaller icons can be difficult to hit and the menus are often slow to react to prods. That being said, it’s worth noting that the OnStar service is being cancelled at the end of 2020, due to the fact that Vauxhall is now owned by Peugeot and Citroën rather than General Motors, who created OnStar. Tactile soft-touch plastics are used on the dashboard, with gloss black and chrome-effect trim pieces to add visual interest. Higher-spec models make greater use of metallic finishes to help lift the ambience. However, while it scores well enough for perceived quality, the Grandland X’s interior still doesn’t have the wow factor of the Peugeot 3008’s or Audi Q2’s, despite existing at a similar price point.